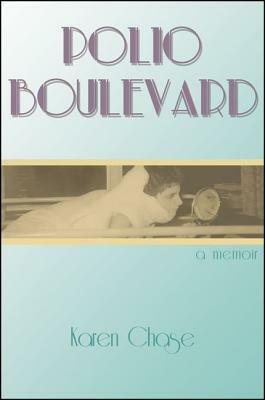 Today I’m pleased to welcome Karen Chase, author of POLIO BOULEVARD. In 1953, I was a ten-year-old girl living in an affluent suburb of New York City, mildly aware of hysteria in the air. We were in the midst of the Cold War, we were in the aftermath of World War Two, and polio was a hot source of fear. The mysterious, crippling disease led to the closings of swimming pools, movie theaters and drinking fountains. Terrorized parents worried for their children. Even so, I was merrily riding my bike, jumping rope, and playing hopscotch with my friends. But one morning that fall, I woke up with a stiff neck, a high fever and lots of pain. I had been stricken with polio. That children in Pakistan, Nigeria, Afghanistan, Syria and Iraq wake up in their beds with pain and fever as polio invades their bodies is a devastating thought. How can this be? Because of the preventative power of the Salk Vaccine, it is avoidable. In the spring of 1954, when I was a patient in the polio ward at Grasslands Hospital in Westchester County, I was happily playing Monopoly with my friends. The radio was on. A voice announced that a doctor named Jonas Salk had invented a vaccine to prevent polio. Some of us turned silent, some of us laughed, and one patient blurted out, “Too late for us!” Here we were, a group of ill children on stretchers and in wheelchairs living through an historical moment when polio’s peril was replaced by joy and relief. But polio remains a global threat. Still, there are nations where the virus does its deadly work. There are even some places like Pakistan and Nigeria where aid workers trying to dispense the polio vaccine have been assassinated. The World Health Organization, the Bill and Melinda Gates Foundation, and the International Rotary Club have dedicated themselves to making the earth polio-free. Through their efforts and their dollars, combined with many countries’ internal efforts, polio has been eradicated in most of the world. Recently, while spending time in New Delhi, I saw billboards that publicized polio as an existing threat. But I also learned that the Indian government was sending out massive numbers of people to families and religious leaders in order to foster understanding about immunizations. Aid workers were being sent to the most remote villages in the country to dispense the vaccine. Even Bollywood stars and celebrity cricket players joined in. Huge efforts from within the country, combined with international dedication, have made India polio-free as of 2013, making India a prime example of how polio can be stricken from this earth. Since writing my memoir, Polio Boulevard, I have had a chance to reflect on how the creation of the polio vaccine was too late for me and my Monopoly-playing cohorts on the polio ward, but not too late for the world’s children to avoid the disease once called infantile paralysis. In 1954, Karen Chase was a ten-year-old girl playing Monopoly in the polio ward when the radio blared out the news that Dr. Jonas Salk had developed the polio vaccine. The discovery came too late for her, and Polio Boulevard is Chase’s unique chronicle of her childhood while fighting polio. From her lively sickbed she experiences puppy love, applies to the Barbizon School of Modeling, and dreams of Franklin Delano Roosevelt, a polio patient who became President of the United States (a man who continues to fascinate and inspire her to this day). Chase, now an accomplished poet who survived her illness, tells a story that flows backward and forward in time from childhood to adulthood. Woven throughout are the themes of how private and public history get braided together, how imagination is shaped when your body can’t move but your mind can, and how sexuality blooms in a young girl laid up in bed. Chase’s imagination soars in this narrative of illness and recovery, a remarkable blend of provocative reflection, humor, and pluck. 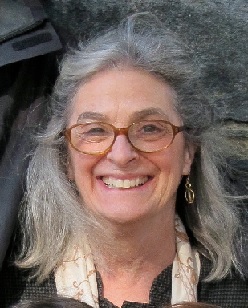 Karen Chase is the author of two volumes of poetry: Kazimierz Square and Bear, as well as Land of Stone: Breaking Silence Through Poetry and Jamali-Kamali: A Tale of Passion in Mughal India. Her next writing project is about FDR. I enjoyed this guest post and learning a bit about the book. Mary, thank you for hosting this giveaway. I will add it to my blog’s sidebar. Interesting post! It’s so sad that aid workers have been killed trying to dispense the vaccine.